In response to the increasing challenge facing the healthcare sector, a group of renowned scientists, medical doctors, entrepreneurs, and academic figures is launching a unique endeavor: Healthbank. Healthbank is a Swiss co-operative company that allows individuals to own and control their own health records. What the company is currently doing is moving it’s private keys/ownership data to blockchain so that no matter where you are – you will be able to prove that you own and access your medical records. The company already has established architecture and customer base of 200,000 people and their health records. It has also partnered with a company called “Thryve” in Berlin, Germany – they are a spin-off of Fraunhofer Institute, which is a renowned research institution, closely working with Technical University Berlin. Thryve has provided a single-API solution allows for the integration of data from all different kinds of wearables (more than 200 devices). It harmonizes the data outputs and interprets them for the benefits of the user. 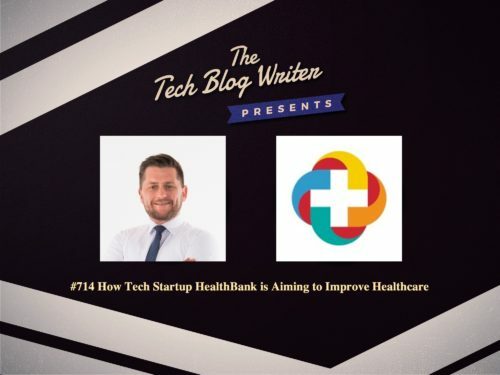 I invited Karsten Stampa onto my daily tech podcast to learn more about how they are aiming to bring healthcare into the 21st century.